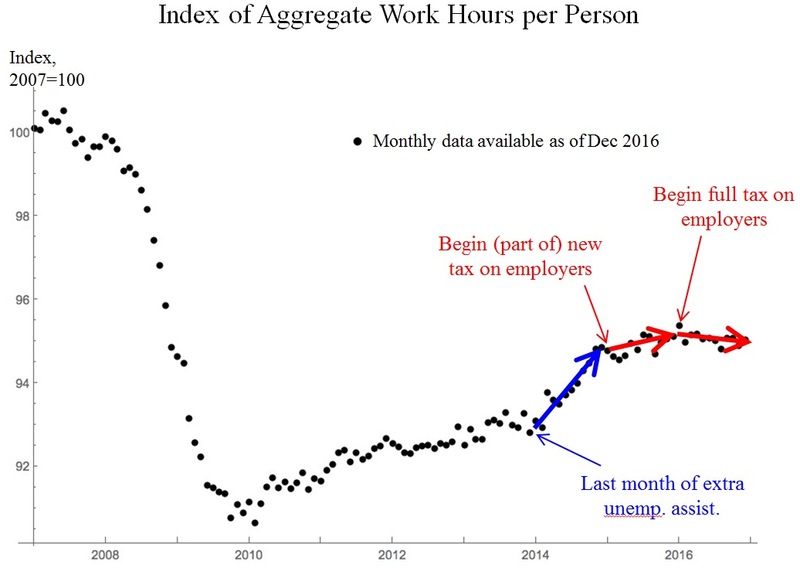 Below is an index of hours worked per person, which reflects both the amount of employment and the number of hours that employees work up through Dec 2016. 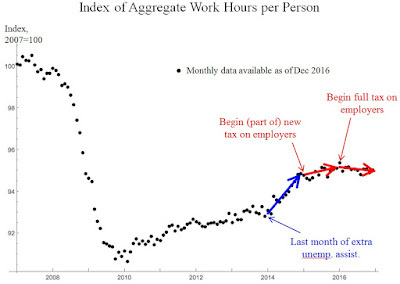 It shot up when the Emergency Unemployment Assistance program was finally canceled. Its growth was especially slow when the new health care law began to penalize employers. Over the most recent twelve months, the trend is (infinitesimally) negative.